Daoud Heidami is a licensed real estate salesperson who specializes in finding gems that are wallet-friendly. He has been a New York City resident for well over a decade and acquired a deep knowledge of the city's evolving neighborhoods and cultural opportunities. Whether your goal is to buy, sell, or rent, Daoud will work tirelessly to meet your needs. His attention to detail, adaptability, and knowledge of Upper Manhattan will help you to find exactly what you want in a new home. Daoud is also a working actor, having appeared on Broadway, in TV and film, most notably opposite Adam Sandler and Rob Schneider in You Don’t Mess with the Zohan. Born in Bethlehem, Daoud grew up and attended college in Texas, and received a Master's Degree from the University of California, San Diego. He has traveled and lived all over the world, from Ireland to Australia, but is proud to call Washington Heights home, where he lives with his wife and two cats. He is fluent in English and Arabic. "Daoud was super efficient, which worked perfectly with my roommate's and my crazy schedule. He showed us a bunch of apartments in the span of one morning and we were able to make the decision really quickly. He guided us through the application process and answered all of our questions (and we had A LOT) without even a hint of annoyance and gave us wonderful and much-needed advice on things pre and post move. Love Daoud, he's the best." Working with Daoud was absolutely perfect. From our initial consultation to signing the lease, he was very thorough and always made sure to keep me informed every step of the way. I had a very particular idea of what I was looking for, and he sent me a map of the numerous places we would look at that day which I thought was a nice touch. He made sure to understand my pros/cons for each one, and when I found my dream apartment he was very expedient in submitting my application and helping to eventually secure the apartment for me! He knows the Harlem area quite well, and provided great insight into which buildings would work best for me giving my criteria. 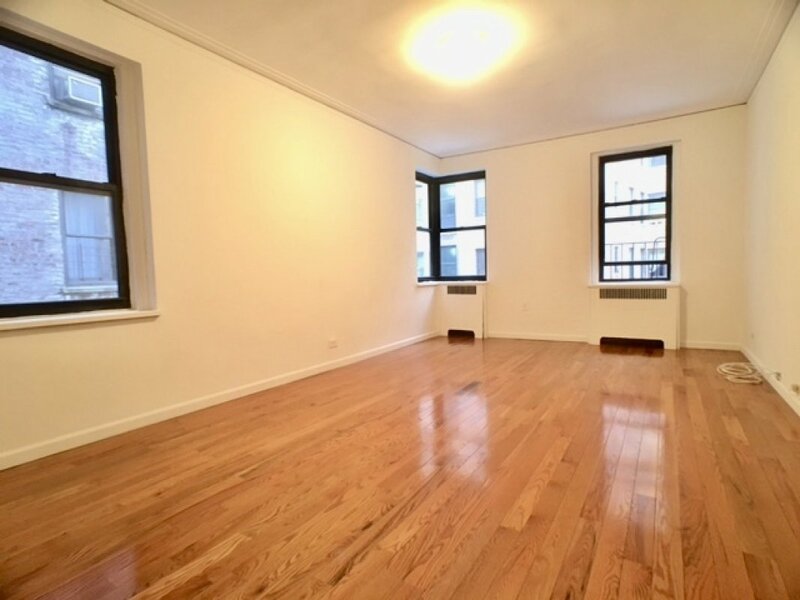 If you are moving to NYC or just looking to switch apartments within the city, I highly recommend reaching out to Daoud to find your dream home! This is the second time I've used Bohemia to find an apartment, and I'm truly impressed by the their level of service. I highly recommend contacting their brokers. I contacted Daoud Heidami (in addition to many other realtors from other companies) and Daoud was much more responsive, organized, and clear about his understanding of our requirements and his expectations from the market than any other realtor who met with or attempted to help me during my search. Daoud explained his approach over the phone and then sent me an email explaining all the paperwork we would need, as well as (literally) mapping out his plan for our apartment visits the next evening - he wanted to see as many as possible in one evening to make things easier for us and get things rolling. It was a great plan. He managed to show us seven apartments in one meeting ranging from below our budget to just at the top of our budget, never trying to sell us on something we said we weren't comfortable with. He also kept emailing and texting beforehand with slightly out-of-our-requirements deals that cropped up to make sure we weren't interested in seeing them. Once we picked the apartment, he also was happy to show me the apartment again before we applied for it - amazing! The application process was quick because Daoud was patient with us as we gathered all necessary documentation, and submitted first thing the next morning (since we didn't have the documentation together until after midnight). I never felt like we were waiting on him, he was always prompt in responding and tried to answer all our questions. Once we were approved, Daoud met with us to sign the lease and answered all our questions. He was very flexible about getting everything done on time and working with us. Afterwards, he gave us a lot of tips and contact info in one email to help us with our move and getting situated in the new place. Couldn't ask for more. Thanks, Daoud! In order to find an apartment in NYC, I was looking for someone to bring some magic. As it turns out, Daoud Heidami must have graduated from Hogwarts before working with Bohemia Realty. Daoud was an absolute pleasure to work with. He contacted me after I requested a viewing at an apartment through StreetEasy. He emailed and called me multiple times before the apartment visiting day so that he could know exactly what I wanted. I was very specific with my price range, area, and the type of place I wanted. Even the day before, a few more apartments had opened up and he called to see what I thought of them. He was very clear with his expectations and requirements through the entire process. He made an actual map of which places we would see so that we were traveling in a logical manner. Every single detail was professional, efficient, and extremely pleasant. When we saw the actual apartments, I had to decide between two different places that he had chosen (the best problem to be in). I never felt any pressure to increase my budget or search outside the geographic location that I wanted. The application and paperwork process was extremely smooth and he updated me every step of the way. He went above and beyond to answer every single question I had, including any that came up before and after the lease signing. He was extremely flexible with my schedule and ensuring that all my needs were met. Daoud even provided a tote, folder, coupons, and a move-in guide to make the process easier. Thank you so much Daoud and I hope that you continue to sprinkle magic in this messy NYC realty business!! It was a pleasure to work with Daoud Heidami from Bohemia Realty Group. Transparent and informed are the best words to describe Daoud. This is a first class agent who actually listened to the needs of my family and only showed us viable apartment options within our budget. I would highly recommend using Daoud if you're looking for an apt in NYC as he made this process so EASY and FUN! We had the pleasure to work with Daoud Heidami when we were searching for a two-bedroom in the city. It was absolutely delightful to work with him. He was reliable, professional and above and beyond helpful from start to finish. We had many special circumstances and he worked hard to find the apartment that was perfect for us. He also very quick to respond to phone calls, texts and emails- even on the weekend and during evening and early morning hours. We highly recommend requesting Daoud to help you with your next apartment search. He'll make it as easy and painless as possible! Daoud was our agent for our recent move. Not only did he help me verbalize exactly what was most important to me in an apartment, he pin-pointed several options for us to choose from, was pleasant, fun, down-to-earth, and efficient. It was a seriously pleasant day of apartment hunting. He even knew the super for our building, and was able to recommend him personally. Bohemia realty agents know upper Manhattan. We ended up in the heart of Hamilton Heights next to a bunch of awesome restaurants, for a reasonable price. Daoud helped us act fast (because it really hit every point on my list) and we're so glad we did! Daoud is a pro and we can't recommend him highly enough. Thanks, Daoud!! We had a really great experience with Daoud, he went the extra mile for us. Before we met he asked a TON of questions about our needs and priorities and only showed us apartments that truly met our specifications and were in our price range. He was patient, kind, and not pushy. I know people don't like using brokers but if you can find a way to pay for it, IT'S WORTH IT! If you can, use Daoud! I have been recommending Daoud to all my friends. He worked really hard to get the job done and even helped us deal with a lock-out issue after our business with him was done and the lease was signed. He totally did not have to help us that day and he did it just out of kindness. My boyfriend, daughter and I are in love with our new apartment!!! Thank you Daoud and thank you Bohemia Realty Group! I just recently worked with Daoud to find a new apartment in NYC. I've been living in NYC for 8 years and this is my first experience with a broker, so I wasn't really sure what to expect. I found Daoud through a listing on a different website and saw he had some excellent reviews so I decided to give him a call. While on the phone, I immediately could tell that he is professional, attentive, and actually cares about giving us a great experience. My husband and I have some very specific needs and Daoud listened carefully and considered some options we weren't even thinking about. We made a plan to meet up with him the next day and he showed his TEN apartments, all within our budget and certain wants and needs we had. I couldn't believe I had gone so long living in NYC before working with a broker; what a difference it made in my apartment searching. It was so stress free I still can't believe it. We picked an apartment that crossed off all the boxes of things we wanted. Daoud sent us a detailed email of everything we will need to send him. We sent in our info the next morning and were approved by the evening! We signed the lease the next business day. Even during the lease signing, Daoud made it very clear that he wanted this to a be a long term relationship and if we have any problems in the future, to not hesitate to contact him. We even got a Bohemia gift bag! It reminded me of the dentist when you get your free toothbrush and floss, it was super adorable and a great touch from Bohemia. We're still in touch with Daoud, as he is organizing the key pick up and other move in details. I cannot emphasize enough how smooth this entire process has been and how much I would absolutely recommend Daoud and Bohemia for your next apartment rental or buying experience! Absolutely the best experience I could every have. You have a gem in Daoud. He not only showed me a the full range of things, but he was interested in being there for long range planning. After a couple weeks of looking at apts on Street Easy and other sites and making appointments myself, I came across a Bohemia listing. With Daoud Heidami as the realtor assigned to this particular apartment. I sent a message that I was interested in coming by to see the place. Within a few minutes, I received a call from Daoud. It was clear a minute or two into our conversation that here was a guy who not only knew his stuff, but was clear, honest, and would be committed to helping me find the right apartment for me. We went out on 3 different 'runs' looking at a bunch of different apts ('runs' is not an official realty term, btw, I just coined it and anyone looking to copyright must go through me). I was on the fence on a couple places that first day, and rather than push me and try to go for the sell, he was super chill and stated what seemed to be his mantra: "My only job and all I care about, is to find you the RIGHT place that fits you." He suggested going out on another 'run' (there it is again!) the next week. He had a whole map system set up to go around the area of Harlem that I was looking at. It was very well thought out. And at this point, he knew the kinds of apts that I was interested in, so he could narrow in more on my taste. And he was right. That day, there were 2 spots that were really perfect and great. I had a bit of a decision on my hand. Again, rather than press me, we went to a nearby restaurant, made a list of the pros and cons, he gave me his thoughts, and then I made my decision (and we checked out the local scene in the process!). I couldn't recommend Daoud Heidami at Bohemia Realty any more. I can't speak for the other agents there as I didn't work with any of them, but if they have half the professionalism and engaging-but-not-too-pushy attitude as Daoud, you will not be disappointed. Oh yeah, and Daoud and I still hang out as friends. Not sure if that's normal in the realty business. But it was a nice added bonus! I worked with Daoud to find a place in NYC. This was my experience with a realtor and moving out on my own. Daoud responded to my initial inquiry extremely quickly and found multiple apartments under my budget with my preferences that I previously listed. He took mother and me to a bunch, maybe 7 apartments, in one day and was very knowledge about the apartments, landlords/supers, and neighborhoods. I would definitely recommend him to anyone that it looking to move uptown! It was very apparent that Daoud and Bohemia had a great reputation. We even ran into a female that recent found her apartment through Daoud and she told me she loved it. We just had a tremendous experience with Daoud Heidami. He is a fierce, professional and down to earth gentleman who doesn't hesitate one bit to get down in the gutter and bring you up to the surface where it is shining. He will bring you that smile and confidence in you to get the deal done. He is patient, very flexible, understandable and thorough with good manners. This is not flatter; Karina and I witnessed these qualities of him. Just an advice for prospective tenants or clients: Be upfront and truthful with Daoud at the beginning. Do not leave any dark shadowy unpleasant details of your conditions behind. He is an human being like you and understands life situations. Just tell him frankly where you stand and his magic will happen. Thank you very much Daoud and Bohemia for your help. We will definitely recommend your awesome services to other friends, family and acquaintances. This was my first time working with Bohemia Realty. They were a recommendation from a friend. I worked with Daoud Heidami, and I was really impressed by his efficiency and professionalism. I reached out to him late in the evening, and he responded with a personal phone call in less than an hour. He arranged for me to see 8 apartments the following day. We met that next day, and viewing the apartments was easy and we were able to see a lot in less than 2 hours. I felt like he was attentive and was really listening to what my needs were. I didn't actually end up renting an apartment through Daoud, I ended up finding a place in a different neighborhood that he does not work in, but I would recommend his services to anyone. I have had several negative realtor experiences in the past, and Daoud renewed my faith that there are people out there who are knowledgable and helpful. Definitely seek Daoud out! They were extremely helpful in narrowing down search results. We were able to visit apartments that fit our very specific requirements without having to do all of the work ourselves! What a wonderful group of people! 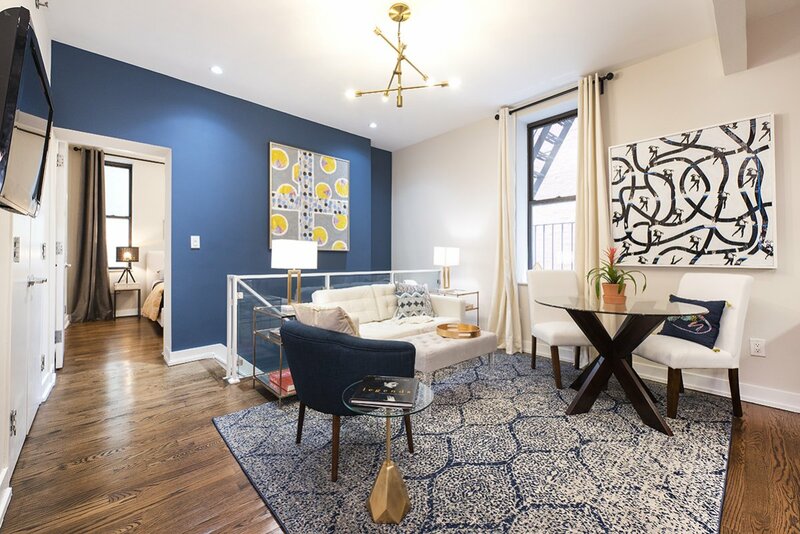 I never write reviews here but I had the pleasure to work with Daoud, and seriously.... he is the most friendly, professional, and 'real' (no BS) real estate agent in NYC. And I've worked with gazillions of them. I highly recommend him for your next new apt. Two thumbs up! Daoud Heidami was awesome to work with. He showed us such a wonderful array of listings, and catered to our every need, changing plans at last minute, planning our route and truly was a great help. I was so impressed with him and recommend his services to anyone. I worked with Daoud Heidami to find my apartment and he made what could have been a very stressful process very smooth and predictable. He was professional while being personable and genuine. He showed us 7 apartments in one night, showed us only apartments in our price range and really listened to what we wanted in an apartment. In fact, we couldn't choose between two apartments and he walked us back to look at a place we had seen earlier in the evening so we could make the best choice. He really cared about getting us a place. I could not have gotten an apartment like this without his direction and help. Communicative and up front he let us know everything we needed to do to get the apartment and what to expect. There were no suprises. I would recommend him as a broker any day for any type of apartment you might be looking for. They were very helpful in making my transition into my new apartment very smooth. I had a very good experience working with the team. Organized, fast, and efficient. I would definitely recommend using them! I can't imagine a better apartment search process than my experience with Daoud Heidami and Bohemia Realty. Daoud's kindness, efficiency, and integrity truly surpassed my expectations. I appreciated that Daoud was honest, open, and had the customer's best interests at heart. He never pressured me to like any apartment, and he candidly discussed the good and bad things about each place we saw. I felt like I had an ally in the process. Within 20 hours of meeting Daoud, I was approved for an apartment I loved, after having seen 8 others that I also liked. The only difficulty in the process was having to choose among the wonderful apartments he showed me! Better still, the support from Bohemia doesn't end once the broker fee is paid. Daoud has been very supportive throughout the lease-signing and moving process, acting as liaison between me and the management company and checking in to make sure I have everything I need. I can't believe that I actually had fun while apartment hunting! For anyone looking for an apartment in upper Manhattan, I would enthusiastically recommend Daoud and Bohemia Realty Group. I've already recommended him to several of my friends! I cannot recommend Bohemia enough. Recently I was in a serious bind; it was Monday and I needed to move out by Saturday. I contact Daoud from Bohemia on Monday evening, we met to see apartments on Tuesday, signed a lease on Thursday, and moved on Saturday. Daoud was so helpful, knowledgeable, and supportive. He wasn't pushy, but was still very honest and transparent. He walked me through the entire application, lease signing, and move in process, and gave me guidance after move in. I would recommend Bohemia, and would especially recommend Daoud! Daoud is very helpful and easy to work with. He worked to find places that fit our needs and showed us a variety of apartments all within our budget. He knew the Inwood area very well. I'm a first time renter and I am so glad I got to work with Daoud. He is extremely trustworthy, professional, and very friendly. When I needed his help or had any questions he was always available. He doesn't quit on his clients and he was determined to find me the right place. I would highly encourage anybody who is looking for a home to contact Daoud. I just recently moved back to NYC from Colorado and have spent the last few months looking for an apartment. I have come across my share of pushy brokers and brokers that only show you places that exceed or at the very top of your budget. However, Daoud Heidami from Bohemia Realty Group is by far one of the best brokers I have ever worked with and an exception to the norm. Not only is he extremely responsive, attentive and committed in finding you the right place, but he also has the patience of Mother Theresa. I am a tough cookie, very inquisitive and quite particular. Despite all that Daoud maintain a level of professionalism, kindness and patience (all while being very knowledgeable) that I have never experienced in the last 12 years of actively being involved in the real estate market. When it comes to my real estate needs, I will always consider Daoud Heidami first! 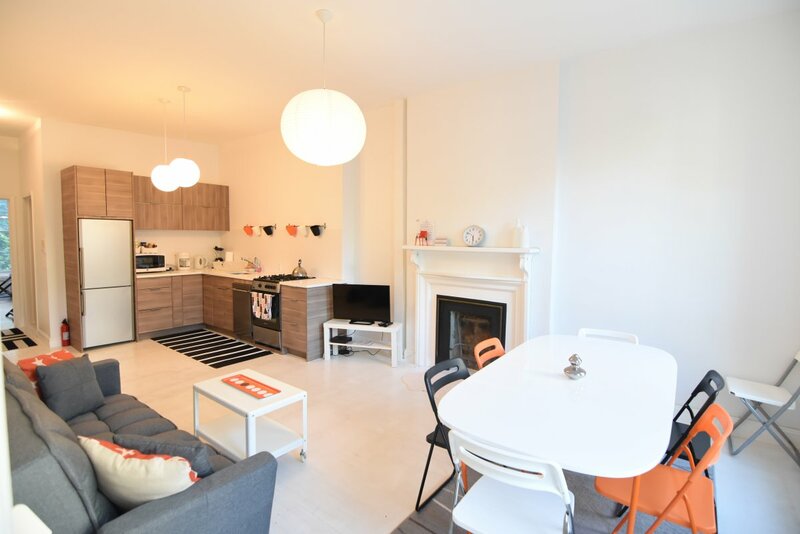 As British people, unused to the American leasing system, we were not looking forward to apartment hunting and, frankly, wondered if we should save on agency fees and go it alone. Then we met Daoud Heidami. He listened carefully to what we wanted and made sure we didn't waste our time seeing apartments that did not fit our criteria. He found us a terrific selections of apartments that fit our needs, helped us think through all the pros and cons, and found us the great place we are about to move into. Once we had decided, he moved quickly to secure the apartment since others were after it too. It was definitely money well spent because we would not have found our new home without him. Daoud is a top guy. Highly recommended from two grateful Brits. Calling everyone looking for an apartment!!!!!! I have the perfect broker for you. Daoud Heidami. He has to be the nicest person I have meet in a while but that is not all. Daoud did his homework making sure he was not wasting my time. He listened to my family's needs and was authentic and transparent about fees. If you are looking for a broker. This is your guy. I never review anything I don't have the time being a mother of 3 under the age of 5. Trust me he is a jem. NO FEE Near Restaurants/Trains & PARK!